This wool rug represents the purity of material, the wool is taken from the sheep, washed and plaited to create a simple but beautiful wool rug design. The wet dying process has been used for giving fixed color. This carpet looks stunning; you will find the natural dying colours. 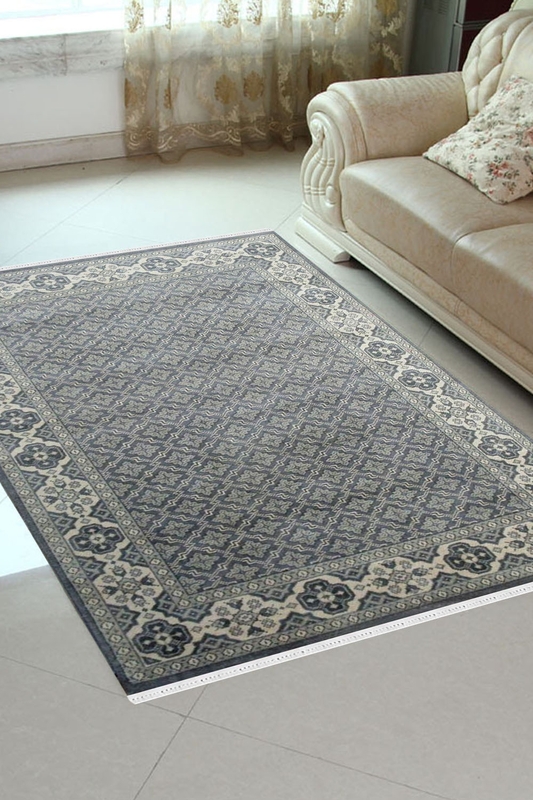 - Bring classic style to your bedroom, living room, or home office with a richly-Jaali Simon rug. - Artfully hand-knotted, this jaali samon wool area rug crafted with pure new Zealand wool and loop textures to highlight timeless motifs updated for today’s homes in muted color. - The wet dying process has been used for this rug. - This carpet is represent the hardship and craftsmanship of weavers. - It has a beautiful border which gives a outstanding look. This is relevant to any space.